Biblically, the church is described in numerous ways. On one hand, we observe that the local church is a living organism—an expression of the body of Christ. On the other, we know that the church is an organization set up by Christ and regulated by the guidelines commanded throughout the Scriptures. As a divinely commissioned organization, God has ordained leadership to spur on growth, purity, outreach, and holiness. 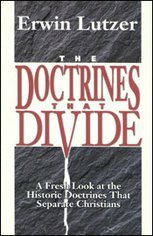 Throughout history, three primary systems of church government have dominated the ideological spectrum of Christian leadership. As early as the Apostolic Father Ignatius (the bishop of Antioch until the beginning of the 2nd century AD), solitary leadership structures flourished, and bishop-oriented churches spread throughout the Christian world. The church has frequently mimicked the political constructs of the presiding culture, with its strengths and flaws. Evidenced by the numerous writings of the church fathers, solitary church leadership (also known as episcopal church government*) strongly correlated with the Roman Empire’s leadership. As the emperor was supreme over the physical, the bishop/elder/pastor was supreme concerning the spiritual, presiding over all others (deacons and members). Episcopal-style churches still abound today, primarily throughout the Roman Catholic Church. While this form of government does prove efficient, corruption is always a danger, and the heirarchical and territorial aspects of the polity can be troublesome. With a renewed emphasis on the priesthood of every believer, congregational church government has dominated the Protestant church. This form of church government, most often found in Baptist churches, usually maintains the presence and title of elders/pastors and deacons/trustees, but the power resides with the members of the congregation, who vote concerning yearly budgets, church programs, and leadership appointments. Divisiveness can be a negative result of this format, but the added accountability can stave off blatant corruption. One other popular system is the presbyterian church government. ** As indicated below, this simply means that the church is lead by the eldership (who are supported by the deacons). The church body may have limited say into the major decisions of the church, but those who meet the biblical qualifications for leadership share the weight of power. Though this system can foster a “them and us” attitude between the congregation and the elders, it produces a balanced level of efficiency and accountability. At The Moody Church, we maintain a system somewhat similar to a Presbyterian-style of church leadership because we believe that this structure is biblically preferable. Using the terms elder and bishop interchangeably, the church government described and commissioned in the early church was marked by a plurality of elders (Titus 1:5-7; Acts 11:30; 14:23; 20:17-18; Philippians 1:1). However, we must not insist that all other churches be like ours, but rather acknowledge the rich history and continuing value of churches which adhere to other systems of leadership. * The word “episcopal” is a derivative of the Greek word that translates into English as “bishop.” The use of this term should not be confused with the Episcopal denomination, a particular branch of Protestant Christianity that employs an episcopal church government. ** “Presbyterian” is a derivative of the Greek word for “elder.” Many churches, other than the Presbyterian denominations, employ a Presbyterian church government.